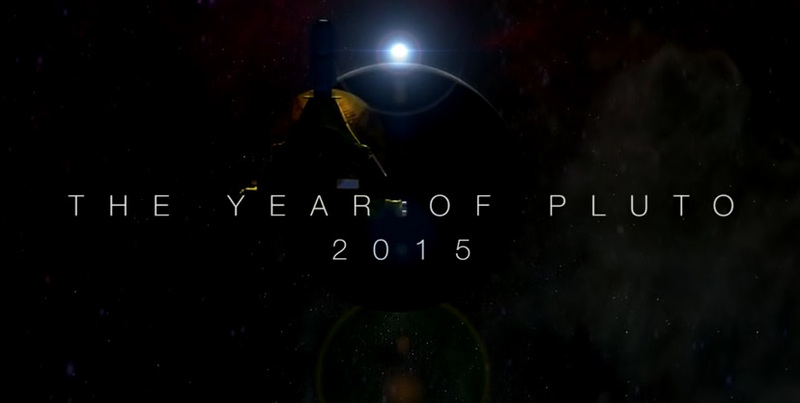 NASA’s New Horizons spacecraft will mark New Year’s some 125 million miles beyond Pluto, far removed from the excitement and activity that accompanied its historic flight through the Pluto system just five months ago. The intrepid probe continues to send volumes of pictures and other data from the July 14 encounter – stashed on its digital recorders – over a radio link to Earth stretching billions of miles. 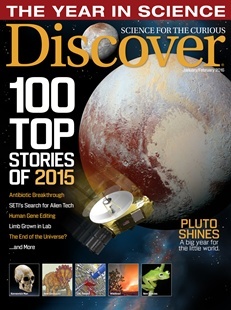 And as the pictures reach home, they remind us that 2015 was the year a small world on the planetary frontier captured our hearts, thanks to a determined and inspired team of government, academic and commercial partners determined to expand the frontiers of science and explore an entirely new realm of the solar system. “The year 2015 had been in our team’s future for so long, it’s hard to believe that it’s soon to be in our past,” said Alan Stern, New Horizons principal investigator from the Southwest Research Institute (SwRI) in Boulder, Colorado. “But what a year it was – we explored Pluto, and made history doing it; we showed that first-time exploration of new planets gets a viral popular response from the public; and we found that small planets can be as complex as big ones like Mars. As the Encounter Began . . .
New Horizons began its long-awaited encounter with Pluto in January – nine years after launch – entering the first of several approach phases that culminated with the first close-up flyby of the Pluto system six months later. A long-range photo shoot that began Jan. 25 provided mission scientists with a continually improving look at the dynamics of Pluto and its moons – and those images played a critical role in navigating the spacecraft across the remaining 135 million miles (220 million kilometers) to Pluto, and helping mission scientists search for debris that might have impeded New Horizons at flyby. Over the next few months, the onboard Long Range Reconnaissance Imager (known as LORRI) took hundreds of pictures of Pluto against star fields to refine the team’s estimates of New Horizons’ distance to Pluto. Though the Pluto system resembled little more than bright dots in the camera’s view until May, mission navigators used those pictures to design course-correction maneuvers and aim the spacecraft toward its flyby target point. In April the team added several significant observations of the Pluto system, including the first color and spectral observations of Pluto and its moons, and the first ultraviolet observations to study the surface and atmosphere of Pluto and the surface of its largest moon, Charon. New Horizons also started the series of long-exposure images designed to help the team spot additional moons or rings in the Pluto system – which they never did find. After seven weeks of detailed searches for dust clouds, rings, and other potential hazards, the New Horizons team decided the spacecraft would remain on its original path through the Pluto system instead of making a late course correction to detour around any hazards. Because New Horizons was traveling at approximately 31,000 miles (about 50,000 kilometers) per hour, a particle as small as a grain of rice could have been lethal. Mission officials breathed a collective sigh of relief. "Not finding new moons or rings present is a bit of a scientific surprise to most of us," Stern said on July 1. "But as a result, no engine burn is needed to steer clear of potential hazards … We are 'go' for the best of our planned Pluto encounter trajectories." 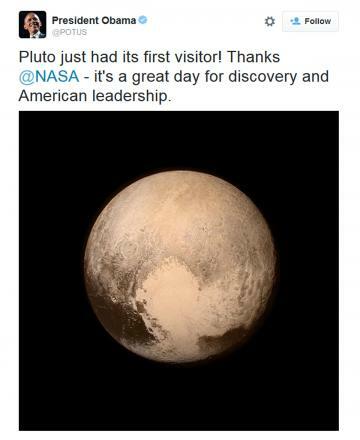 By then, Pluto was also starting to come into clearer view. The distinct “faces” of both Pluto and Charon were becoming apparent, including Pluto’s now-famous heart shaped plain named Tombaugh Regio. New Horizons had traveled farther than any spacecraft to reach its primary target – and while it spent about two-thirds of that long journey in hibernation, the team was designing and practicing every maneuver and science operation of the Pluto encounter, and getting to know its spacecraft inside and out. The recovery was fast and thorough; mission engineers immediately identified the problem and reestablished contact within two hours. By July 7, the intricate set of flyby commands – the critical directions for New Horizons’ science instruments – was reloaded and ready to go. 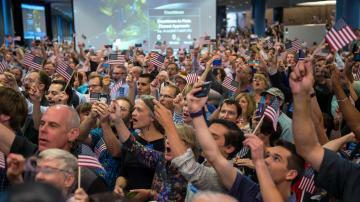 New Horizons mission central, for the week of July 12-18, was the Kossiakoff Center at APL. Nearly 250 members of the media, 1,600 guests and hundreds of staff were on hand for panel discussions, press conferences and related activities; a full NASA TV set was built on the auditorium floor for the flyby coverage that was broadcast and webcast to the world. New Horizons was actually out of contact with Earth during its closest approach to Pluto at approximately 7:50 a.m. EDT on July 14. But the team, joined by guests and an international TV audience, marked the flyby with a raucous countdown that rivaled New Year’s Eve in Times Square. Network morning shows beamed live images of U.S. flags waving and cheers and hugs around the room. Later that morning the team revealed a stunning, immediately iconic image of Pluto, the last photo New Horizons took and transmitted before entering flyby silence. 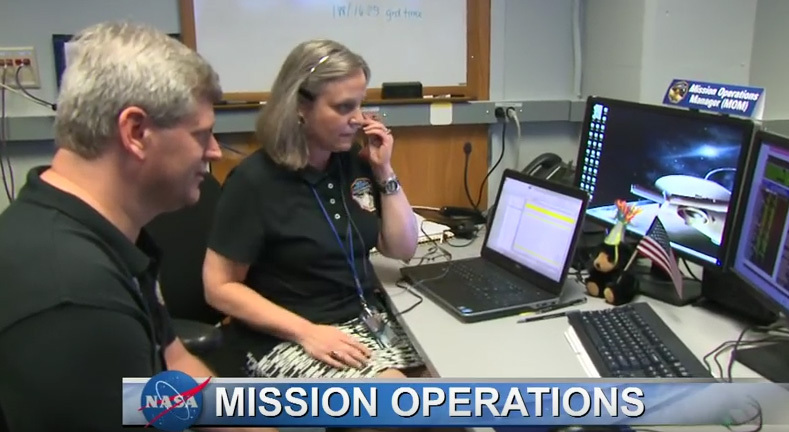 Watch Mission Operations Manager Alice Bowman and the operations team confirm the success of the Pluto flyby on July 14, 2015. 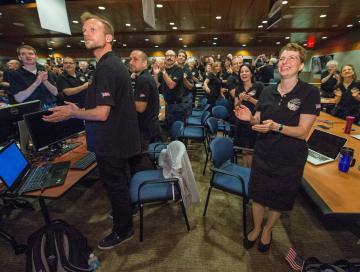 But the most critical transmission on July 14 didn’t include a picture; it was the burst of telemetry, set to arrive in the New Horizons Mission Operations Center just before 9 p.m., indicating the spacecraft was healthy and did its job. The suspense was short-lived, as the transmission – sent from New Horizons more than four hours earlier – came right on time. “We have carrier lock,” announced mission operations chief Bowman, meaning NASA’s Deep Space Network had linked up to New Horizons. A jubilant Stern burst into the room, hugged Bowman and started a cheer of “U-S-A, U-S-A” among the ops team. 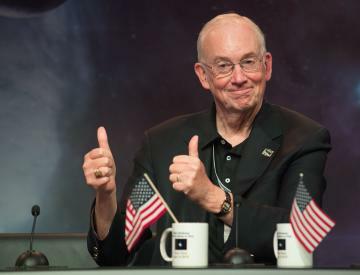 He was followed by APL Director Ralph Semmel, NASA Associate Administrator John Grunsfeld and Administrator Charles Bolden, who all offered congratulations. Bowman then led the operations team on a walk to the packed Kossiakoff Center auditorium, where they and the rest of the New Horizons team received a standing ovation to kick off a press conference that more resembled a Super Bowl celebration. All that was missing was a trophy and a call from the White House – though President Obama did tweet his congratulations to NASA and the team. 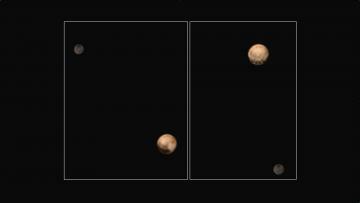 The first close-up pictures, showing Pluto’s surface and some of its moons in incredible detail, came back the next day. Over the next several days the science team, camped out at APL since June, scoured data and images of Pluto that revealed nitrogen ice flowing across the surface, mountain ranges that rival the Rockies, and areas that might still be geologically active. 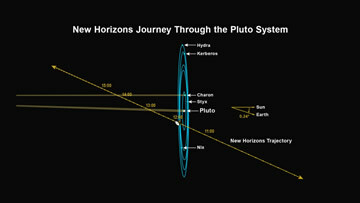 Other results since then – which have already been included in peer-reviewed journal articles and presented at two major science meetings, the American Geophysical Union and AAS Division for Planetary Sciences – are revealing Pluto and its moons to be unexpectedly complex and beautiful, yet unlike any worlds we’ve ever encountered in our solar system. On Nov. 4, the New Horizons team completed the last of four targeting maneuvers that set the spacecraft on course for a Jan. 1, 2019 encounter with 2014 MU69. This ancient body in the Kuiper Belt is more than a billion miles beyond Pluto; New Horizons will explore it if NASA approves an extended mission. The maneuvers were the most distant trajectory corrections ever performed by any spacecraft; they also were the mission's largest and longest, and carried out in a succession faster than any sequence of previous New Horizons engine burns. And they were incredibly accurate, performing almost exactly as they were designed and setting New Horizons on the course mission designers predicted. The science team hopes to explore even closer to MU69 than New Horizons came to Pluto on July 14, which was approximately 7,750 miles. The team will submit its proposal for an extended mission in April. Timing and accuracy were critical for all New Horizons flyby observations, since commands for the science observations were stored in the spacecraft’s computers and programmed to “execute” at exact times. To guide New Horizons to the right place and time the team used a combination of radio-tracking data of the spacecraft and, in the months before the flyby, range-to-Pluto measurements made by optical navigation images of Pluto taken by New Horizons itself. 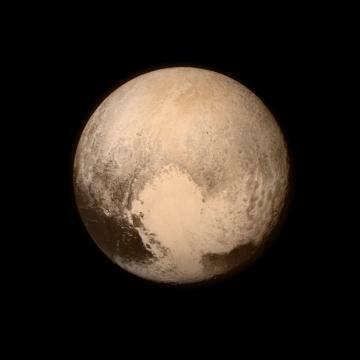 Watch: Glen Fountain describes how the team will “thread the needle” at Pluto.